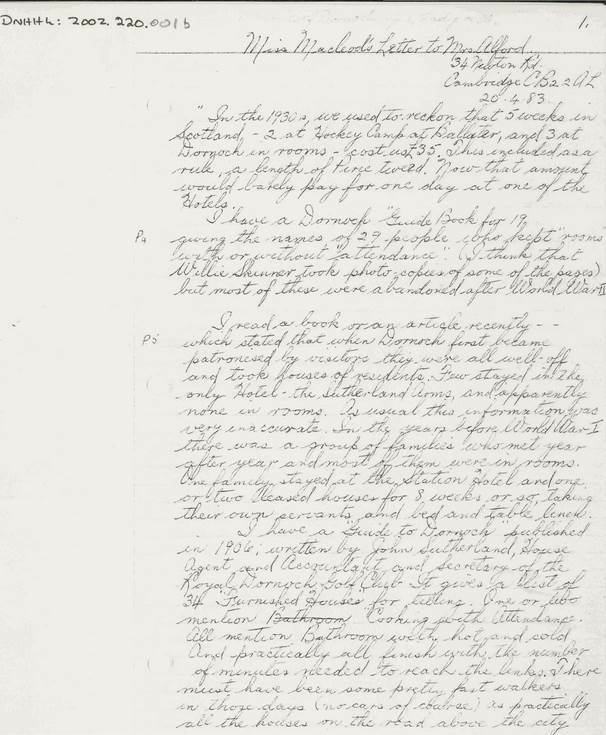 Copy of transcript of part of letter 2002_220_001b by Jimmy Bell. 6 loose pages. A typed version of this transcript is at 2002_220_001c with the pdf version providing all five pages.